At the base of every home lies a sturdy floor: built to withstand the test of daily abuse of footsteps, furniture and pets. We are your source for Authentic solid Wide Plank Flooring as well as installation! Call to Speak directly to our floor specialist! 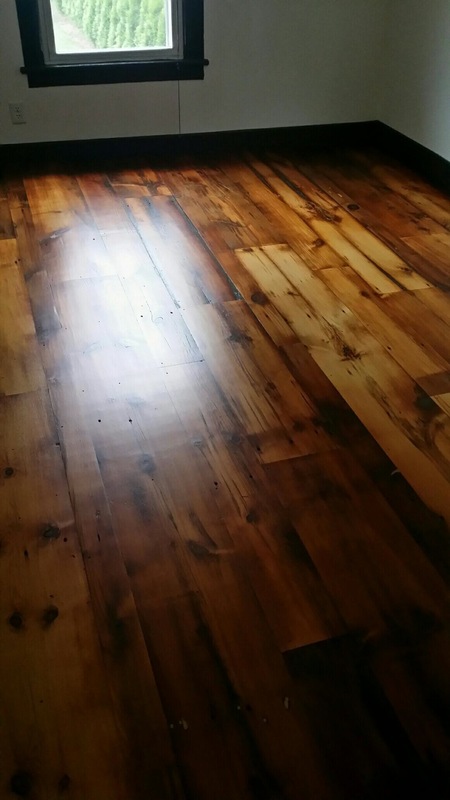 Authentic Antique Lumber offers hand-picked, hand processed flooring consisting of beautiful wide planks, paired with some of the best finishes in the business. BARNSIDING: Full of rustic patina, we offer wide planks of hemlock once used as siding for early American barns. 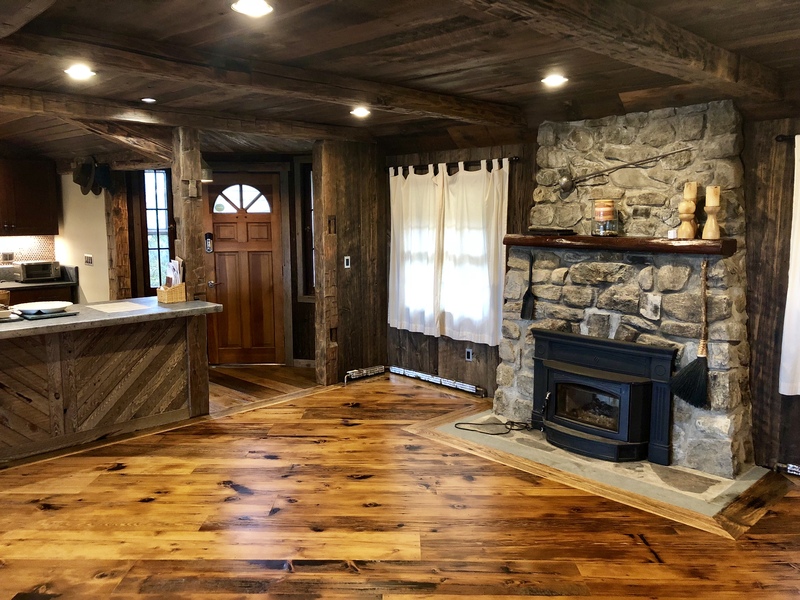 A visual marvel, the 200 year-old barnwood is ripped from the structure, and painstakingly crafted into a floor for your home or place of business, complete with square-cut nails indicative of their time. We assemble a beautiful variety of widths up to 15”, kiln dried and ready to be installed by our experienced team of installers. We offer Hemlock, Oak, Cherry, and Maple flooring each with their own specific visual and physical characteristics. Pine: Pine is one of the best materials for hardwood flooring, and one of our best sellers for almost any type of home. It drinks in the sun during the day for a lighter, warmer hue that looks amazing. It is available from us in several different colors, tones, and grades, and can be customized to a width of 4 to 16 inches. Maple: Maple is a favorite for floors because of its resilience and strength. Authentic Antique Lumber offers maple in a range of colors, such as white and blonde, and many of our pieces fit the rustic aesthetic with nail holes, mineral stains, and more. Our maple is available in 3 to 12- inch widths. Oak: Oak – whether red or white – is sought after for its waterproof qualities, natural surface checking, and inherent character. It is a top choice of homeowners and builders, and available from us in 3 to 18-inch widths. Chestnut: Chestnut is a rare, rustic wood containing a pleasing visual depth and rich color. Often nail holes, wormwood, and knots may exist within the wood itself, and finding chestnut that is not reclaimed or recycled, is extremely uncommon. Our chestnut is available in 4 to 12-inch widths.